A series of images from ESO’s Very Large Telescope, showing the exoplanet Beta Pictoris b swinging from one side of its parent star to the other. The glare from the star has been blacked out to make the planet more readily visible. A time-lapse movie showing the planet’s motion can be seen below. 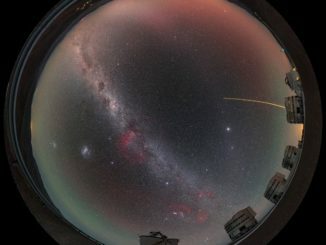 Image: ESO/Lagrange/SPHERE consortium. 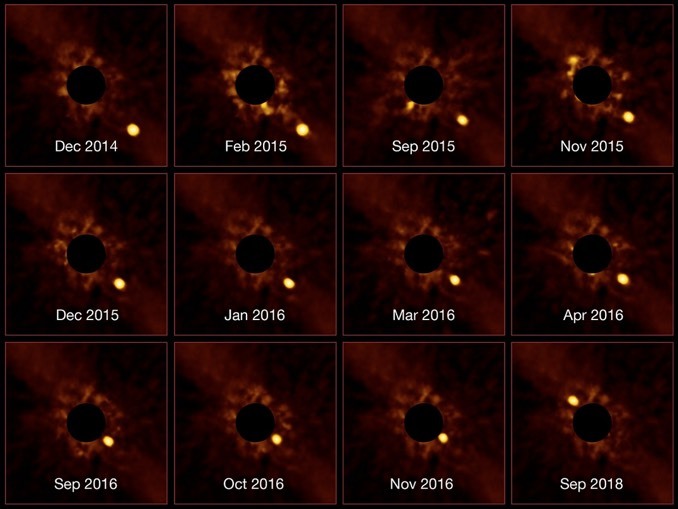 The European Southern Observatory’s Very Large Telescope has captured a remarkable series of images showing the exoplanet Beta Pictoris b orbiting its star, swinging from one side to the other. Discovered by the VLT in 2008, the same research team tracked the exoplanet over two years, from late 2014 to late 2016, using the Spectro-Polarimetric High-contrast Exoplanet REsearch instrument, or SPHERE, attached to the VLT. Beta Pictoris b orbits its star at a distance of about 1.3 billion kilometres (808 million miles), roughly the distance from the Sun to Saturn, making it the most closely orbiting exoplanet ever directly imaged. The VLT-SPHERE images captured the planet as it appeared to approach its star then disappear into its glare before emerging as a separate object again on the other side. While the images give the appearance of a transit, the planet did not cross directly in front of its star as viewed from Earth. 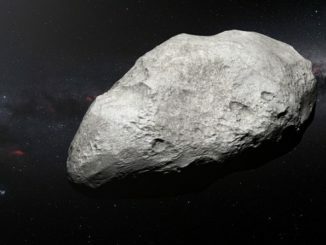 Astronomers using ESO’s Very Large Telescope have discovered the first carbon-rich asteroid in the distant Kuiper Belt. The asteroid likely originated in the inner Solar System and was ejected by gravitational encounters with the Sun’s gas giants. 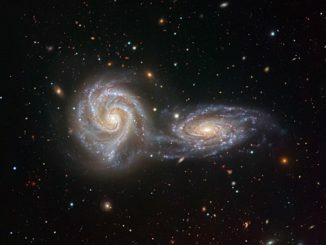 Before it was decommissioned, the European Southern Observatory’s Visible Multi-Object Spectrograph captured this stunning view of two gravitationally interacting galaxies 110 million light years away. Over its 16-year career, VIMOS captured tens of thousands of galactic spectra, shedding light on how massive galaxies form and evolve.